In this post i would like to publish the information regarding the SIVA LINGAS TO BE WORSHIPPED ACCORDING TO RASSI AND NAMA OR JANMA NAKSHTRAM located near Draksharamam in East Godavari,Andhrapradesh. Every one in the World falls under one of the 27 Nakshtras and 108 Padas. There are separate Shivalingas and Devi temples for each Rasi and for each Nakshatra Padam separately. We can worship them on our own, according to our Rasi and our Nakshtra Padam to get rid of our problems . First worship by Nama Nakshatra or by Janma Nakshtram (birth star) and then go to Rasi Linga and then visit Draksharamam and get rid of ILL EFFECTS OF GRAHAS. If you can have an arial view of all these temples together, it looks like a lotus flower. Due to lack of publicity many people don’t know about these temples. PLEASE DO TRY TO SEE THEM. I hope you will visit them and get rid of your problems. I will give you the information in the order form MESHA Rasi to MEENA Rasi. Temple for Mesha Rasi is in East direction to Bhimeswara Swamy (Draksharamam). It is at Vilasa Gangavaram (Draksharamam >> Yarrapothavaram >> Vilasagangavaram). Nakshatra's which fall under Mesha Rasi are Aswini Nakshatram, Barani Nakshatram, Kithika Nakshatram. Temple for Vrushaba Rasi (Taurus) is in East direction to Bhimeswara Swamy (Draksharamam). It is in Vilasa Gangavaram(Draksharamam >>Yarrapothavaram >> Vilasagangavaram). Nakshatra's which fall under Vrushaba Rasi are Kithika Nakshatram, Rohini Nakshatram, Mrugasira Nakshatram. Temple for Midhuna Rasi is in NorthEast direction to Bhimaswara Swamy (Draksharamam). It is in Hasanabada, 3km from Draksharamam on the way to Kakinada. 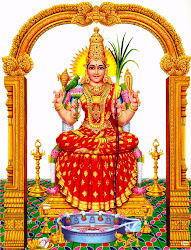 Nakshatra's which fall under Midhuna Rasi are Mrugasira Nakshatram, Arudra Nakshatram, Punarvasu Nakshatram. Temple for Thula Rasi is in West direction to Bhimeswara Swamy (Draksharamam). Here the temple is dedicated to SRI PARVATHI SAMETHA PARAMESWARUDU, Adivarapupeta. It is 3kms from Draksharamam. Nakshatra's which fall under Thula Rasi are Chittha Nakshatram, Swathi Nakshatram, Visaka Nakshatram. Temple for Vruchika Rasi is in West direction to Bhimeswara Swamy (Draksharamam). Here the temple is dedicated to SRI PARVATHI SAMETHA PARAMESWARUDU, Adivarapupeta. It is 3kms from Draksharamam. Nakshatra's which fall under Vruchika Rasi are Visaka Nakshatram, Anuradha Nakshatram, Jyesta Nakshatram. Temple for Dhanusu Rasi is in Southwest direction. Here the temple is dedicated to SRI ANNAPURNA SAMETHA KASIVISVESWARA SWAMY in Nelaparthipadu. Those who worship here will get both Bukthi and Mukthi. It is 4kms from Draksharamam. Nakshatra's which fall under Dhanusu Rasi are Moola Nakshatram, Purvashada Nakshatram, Uttrashada Nakshatram. Temple for Makara Rasi is in South direction .Here the temple is dedicated to SRI PARVATHI SAMETHA MARKENDAYA SWAMY in Kundhalamma Cheruvu. It is 4kms away from Draksharamam. You can go via of Venketaya Palem, Dasaripadu. Nakshatra's which fall under Makara Rasi are Uttrashada Nakshatram, Sravana Nakshatram, Dhanista Nakshatram. Temple for Kumbha Rasi is in South direction. Here the temple is dedicated to SRI PARVATHI SAMETHA MARKENDAYA SWAMY in Kundhalamma Cheruvu. It is 4kms away from Draksharamam. You can go via of Venketaya Palem, Dasaripadu. Nakshatra's which fall under Kumbha Rasi are Dhanista Nakshatram, Sathabisha Nakshatram, Purvabhadra Nakshatram. Temple for Meena Rasi is in South direction .Here the temple is dedicated to SRI PARVATHI SAMETHA MARKENDAYA SWAMY in Kundhalamma Cheruvu. It is 4kms away from Draksharamam. You can go via of Venketaya Palem, Dasaripadu.Nakshatra's which fall under Meena Rasi are Purvabhadra Nakshatram, Uttarabadra Nakshtram, Revati Nakshatram. Really you have helped a lot by providing this useful & very imp. inf. If possible you may pl add the location viz., nearest Rly. Station with distance or/and Bus route to reach making it easy for people to plan a trip without much thinking pl. i have gone thru the nakshthra paada-wise temples in Andhra Pradesh compilked by u. 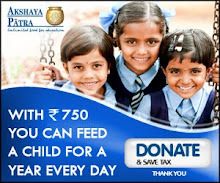 It is a very marvellous job in guiding needy people for performing pariharas. though i belong to West Godavari (eluru), i have shifted to Chennai, Tamilnadu during 1971. How could we get that could you please give any suggestion to this. and also added your RSS feeds, so when I have time I will be back to read a great deal more, Please do keep up tthe superb work. for a comparable subject, your site got here up, it seems to be good. Hello there, just was aware of your weblog thru Google, and found that it's truly informative. found this web site as a most excellent site for hottest updates. Αppreciate thee recommendation. Lett mе try iit out. I've read a few just right stuff here. Definitely value bookmarking for revisiting. say about this article, in my view its truly awesome for me. or reviews and additional stuff, is there any other site which provides such data in quality? have you ever been running a blog for? you made blogging glance easy. The whole glance of your website is excellent, as neatly as the content material!